DennisB DenLorsTools.com © Summary: Recently had a blog reader that’s interested in purchasing a used Dodge Ram Pick-up truck with a 3.7 Liter engine. He wanted my opinion on 3.7’s. Although there’s many, things to inspect and consider before purchasing any vehicle, I responded with the following things that came to mind and that I would consider before purchasing a vehicle with a 3.7 or 4.7 Mopar engine. Kent Moore J-42385-507 Inserts in STOCK! DennisB DenLorsTools.com © Summary: Kent Moore inserts always available with us. 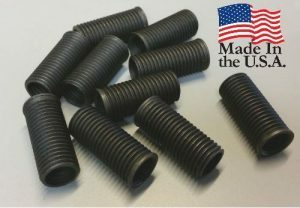 We have the Kent Moore J-42385-507 head bolt inserts in STOCK. They are frequently on backorder with GM but we keep plenty in stock. See the following link J-42385-507 or order by phone at 800-524-9783. The inserts are commonly used on GM Northstar and some other applications when an M11x1.5 Kent Moore thread repair kits is used. DennisB DenLorsTools.com © Summary: We’ve compiled some of the Calvan 38900 spark plug thread repair videos here. 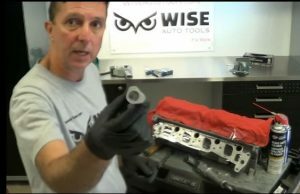 Some are from WiseAutoTools.com which is our second website. We’ve been selling spark plug thread repairs since 2005. Calvan 38900 is the 2V kit which is used on many 4.6, 5.4 and 6.8 Liter engines made by Ford. 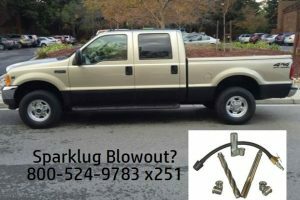 The common spark plug blowout issue has been around quite awhile and surprisingly the issue still persists. Ford starting using the 3V engines in 2004 on some models. 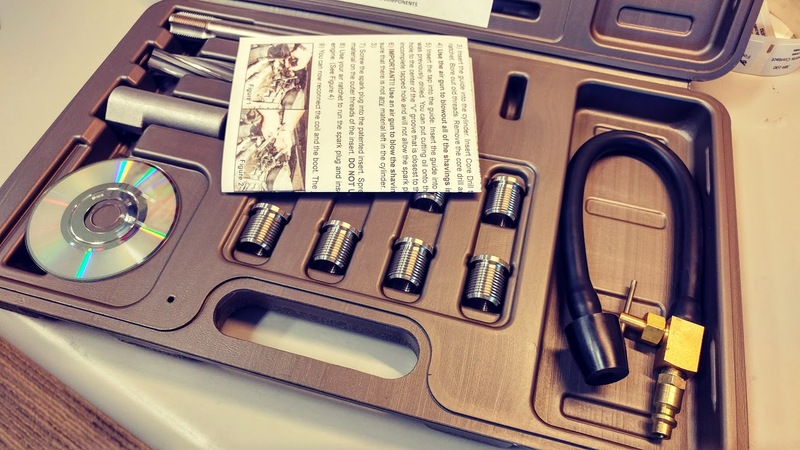 The 3V engine uses an M16x1.5 spark plug that doesn’t have the same blowout issue as the previous M14x1.25 spark plugs used in the 2V engines. 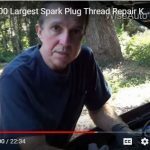 The 3V spark plugs have a breaking issue when removing. 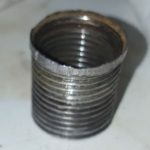 The threads can be damaged though which could indirectly cause a blowout issue if the threads are damaged when changing the plugs. 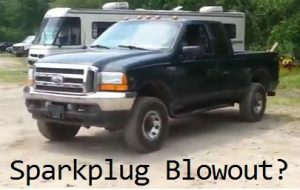 What people don’t realize is that Ford still used the 2V engines that have the common spark plug blowout problem after 2004 in some models. One surprising fact is that the 2V engine was used in the E150 with a 4.6 from 1997 all the way through 2014! See our Calvan 38900 product listing for a full list of vehicles that uses the 2V engine.